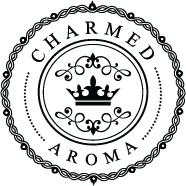 We are looking for videos that capture the entire Charmed Aroma experience (from burning the candle/dissolving the bath bomb, all the way to the ring reveal). Videos that are chosen by our team will be featured on our Facebook page. These winners will receive a FREE ring. Turn the lights on. It’s the best when we can see the product and jewels clearly! Wear the jewelry. Everyone loves to imagine what the jewels would look like on them! Try to keep videos under 1 minute 30 seconds. We all can’t wait to see the reveal!